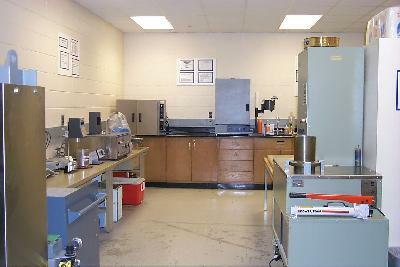 The equipment for the Asphalt Technology Laboratory are in place and the lab is ready to function. This is the area for binder evaluation and mix design with the gyratory compactor. Aggregate properties play a vital role in the performance of asphalt concrete. Superpave places strict controls on the characteristics of aggregates to ensure the aggregates are compatible with the performance objectives. Superpave requires two tests to control aggregate shape and texture. 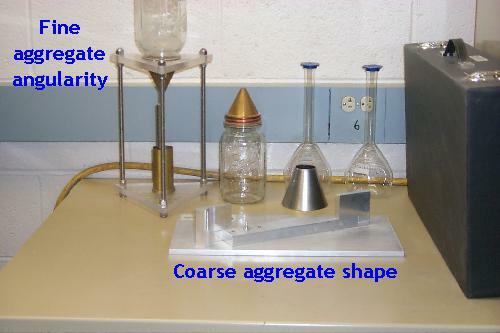 The fine aggregate angularity test uses the concept that when aggregates with a rough texture and angular share allowed to fall freely into a container the friction between the particles will prevent them from achieving a dense configuration. On the other hand, aggregates with a rounded shape and smooth surface will readily fall into a dense configuration. Thus, the weight of aggregates required to fill a container with a known volume is an indirect measure of the shape and surface texture. For coarse aggregates, an excess of long slender aggregates causes bulking of the aggregates and inhibits compaction. Superpave places restrictions on the percent of aggregates whose ratio of longest dimension to narrowest dimension exceeds a specified value. In addition to temperature effects, asphalt ages during construction and over time. To simulate this effect the PG specifications require aging asphalt binders in two devices. Asphalt binder is rapidly aged during the construction process. Heating the asphalt to mixing temperature and blending it with the aggregates causes rapid oxidation and volatilization. 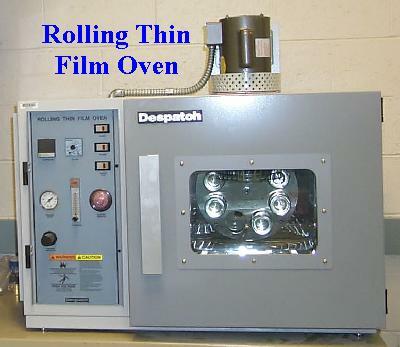 The Rolling Thin Film Oven is used to condition asphalt binder samples to simulate the change in binder characteristics during the construction. After the asphalt is placed, the aging process continues for an extended period of time. 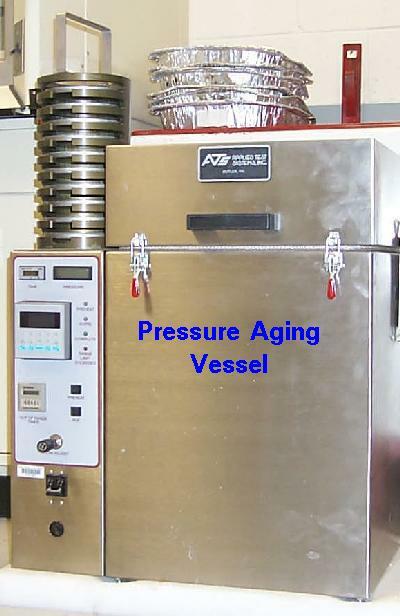 The pressure aging vessel is used to simulate the hardening that asphalt binder would experience during seven to ten years of service. Three devices are used to measure the properties of the asphalt binder: the rotational viscometer, the dynamic shear rheometer, and the bending beam rheometer. A direct tension tester was also developed during the SHRP research. However, this device is currently being redesigned and therefore, the Asphalt Technology Lab is waiting on the completion of the development research before purchasing the direct tension tester. The Rotational Viscometer measures asphalt viscosity at the mixing temperature. This device measures the force required to rotate a spindle at a constant speed while the asphalt binder is kept at the required test temperature. 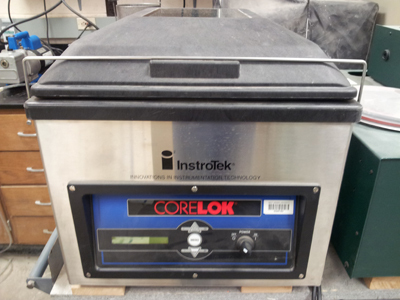 This device replaces the kinematic viscosity test. 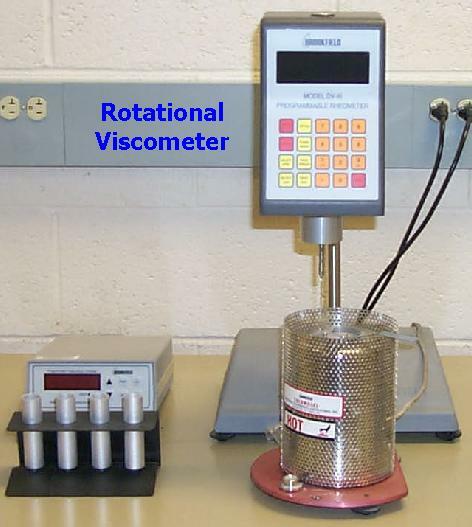 The Rotational Viscometer and the kinematic viscosity tests measure the same property and are interchangeable. The Rotational Viscometer is preferred for ease of operation. 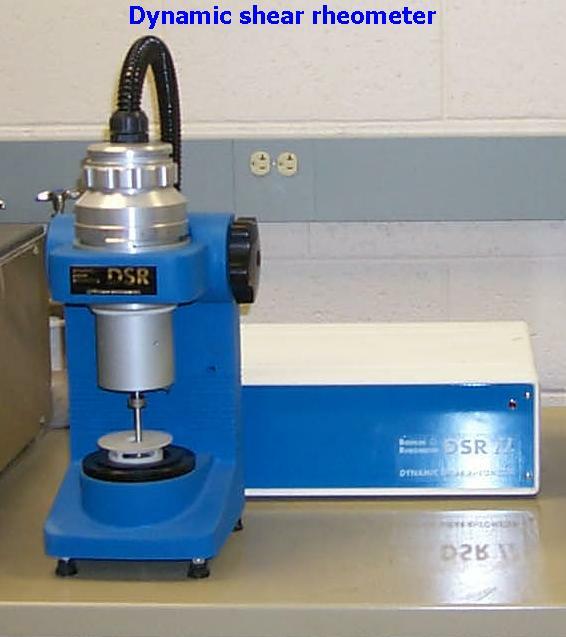 The dynamic shear rheometer (DSR) measures the viscoelastic properties of the asphalt cement at the highest pavement temperature and at an intermediate temperature (approximately the average of the high and low temperatures). The DSR applies a sinusoidal load to a plate shaped sample. The deformation response of the sample is measured and the shear stresses and shear strains are determined. These are used to compute the complex modulus and the phase angle of the asphalt binder. The test at the higher temperature evaluates the ability of the asphalt binder to resist permanent deformation (rutting) of the pavement. The developers of the PG specification hypothesized that rutting potential is critical at high temperature and during the initial pavement performance period, before the binder stiffness increases through age hardening. Thus, the high temperature tests are performed on samples which have been conditioned with the rolling thin film oven. The SHRP researchers hypothesized that the critical time for fatigue is after the asphalt has age hardened and when the temperature is in the intermediate range. Thus, the tests at the intermediate temperature are performed after the samples have been conditioned with both the rolling thin film oven and the pressure aging vessel. When the pavement temperature drops, two simultaneous events occur that are detrimental to pavement performance. The reduction in temperature causes a volume reduction which due to the constraining effect of the pavement slab, generates stresses in the pavement. Concurrently, the drop in temperature causes the asphalt stiffness to increase making the binder more susceptible to cracking due to the thermal stresses. 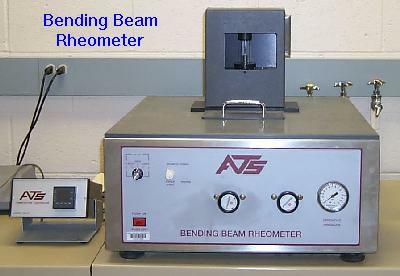 The bending beam rheometer (BBR) evaluates the binder's ability to resist thermal cracking. Since the potential for thermal cracking increases when the asphalt stiffness increases due to age hardening, the BBR test is performed on samples that have been conditioned in both the rolling thin film oven and the pressure aging vessel. Once the aggregates and binder are selected, the next step in the design of asphalt concrete is to determine the correct proportions of asphalt and aggregate to have a mix with suitable volumetric requirements. Samples of material are prepared at different asphalt contents and compacted in the gyratory shear compactor. 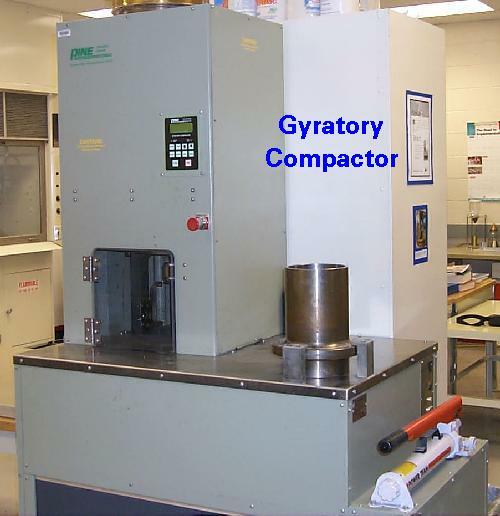 This compactor achieves density by placing a vertical force on the sample. The sample is then tilted and rotated. The rotation of the sample and vertical force generate shear stresses in the sample which are sufficient to displace the aggregates and force them into a dense configuration. The basic design parameter uses for this test is to determine an asphalt content where the specified number of gyrations produces a mix with 4% air voids. If the design criteria cannot be met, the aggregate gradation is adjusted and the mix design process is repeated. The SHRP researchers envisioned a mix design system where asphalt concrete for low to moderate traffic volume pavements would be designed based strictly on the volumetric properties of the asphalt concrete. Very sophisticated testing was envisioned for mix designs for very heavy traffic volume roads. Many pavement engineers and technicians were not comfortable with the volumetric concept and wanted a test that would evaluate the mix with respect to its ability to carry loads. 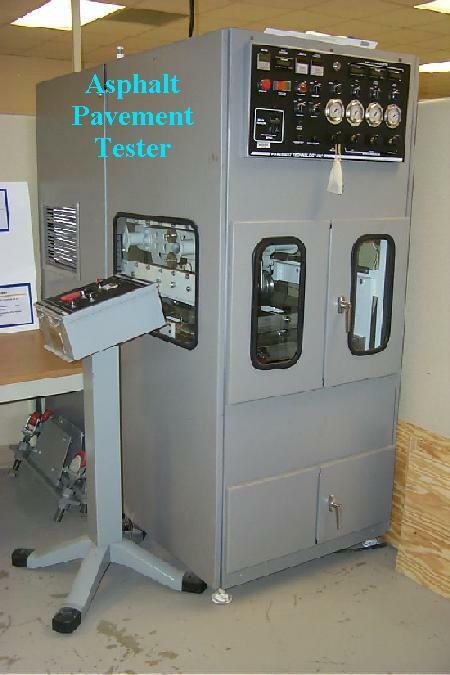 The Asphalt Pavement Analyzer was developed at Georgia Tech University for the Georgia Department of Transportation. This devices uses repeated load testing to evaluate the potential for an asphalt concrete mix to have adequate rut and fatigue resistance. 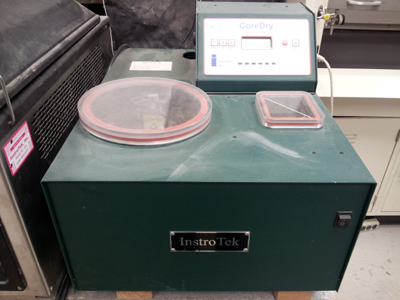 The device can test samples prepared with the Gyratory Shear Compactor or using a dedicated compactor for preparing slab samples.